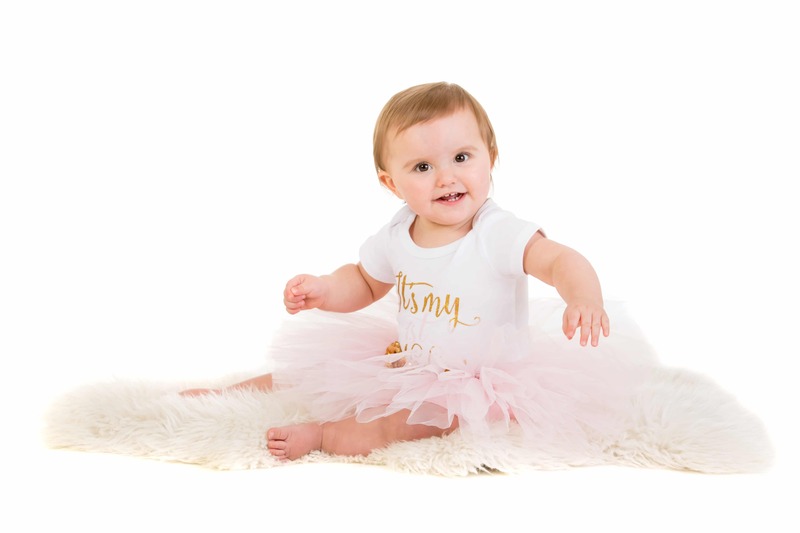 I always start cake smash photo shoots without a cake, this way I can get some lovely photos of your little one without any mess around. This time the little girl was no stranger to our studio having visited a few times since her newborn photoshoot. 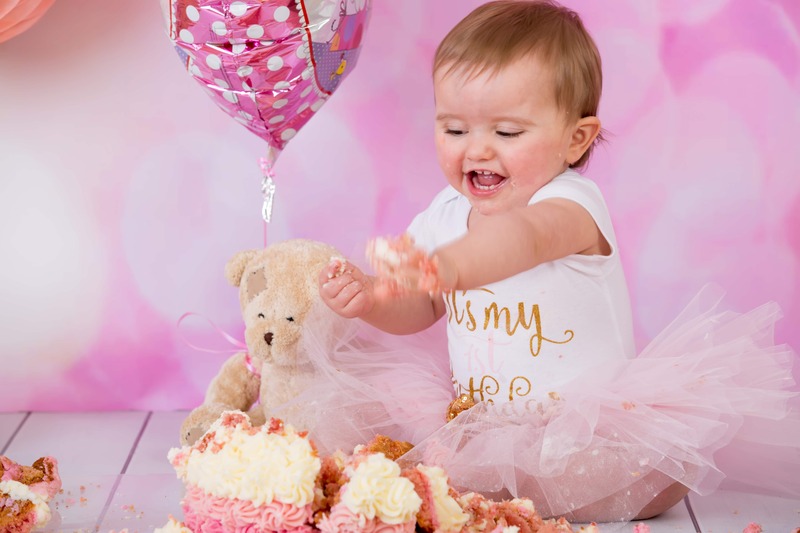 I then introduced the cake and Cake Smash photo shoots always seem to start the same way. 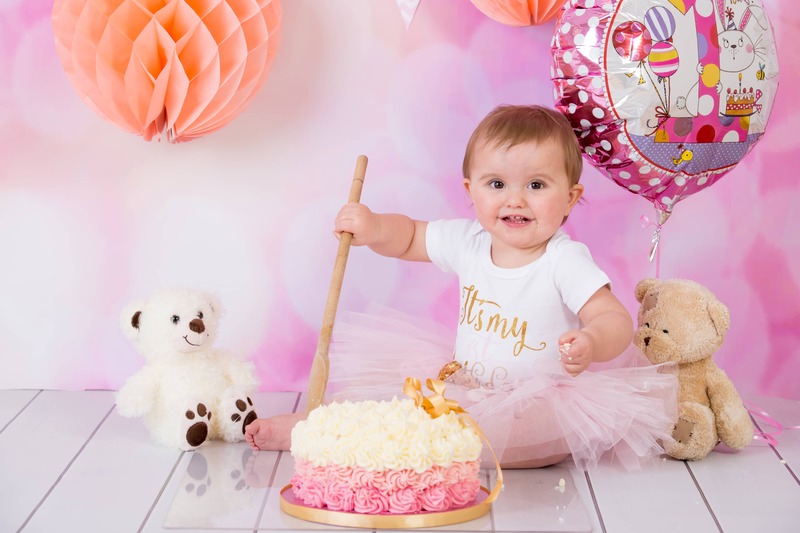 Little girl is put next to the cake and sits and stares at the cake. Mum and Dad have always told them that they shouldn’t pick food up, but this time is different. After a few minutes and a bit of coaxing from mam and dad Harleigh-Rose starts trying to eat the wooden “ONE” sign. Time to try something else, introducing the big wooden spoon usually does the trick and in this case it worked very successfully. 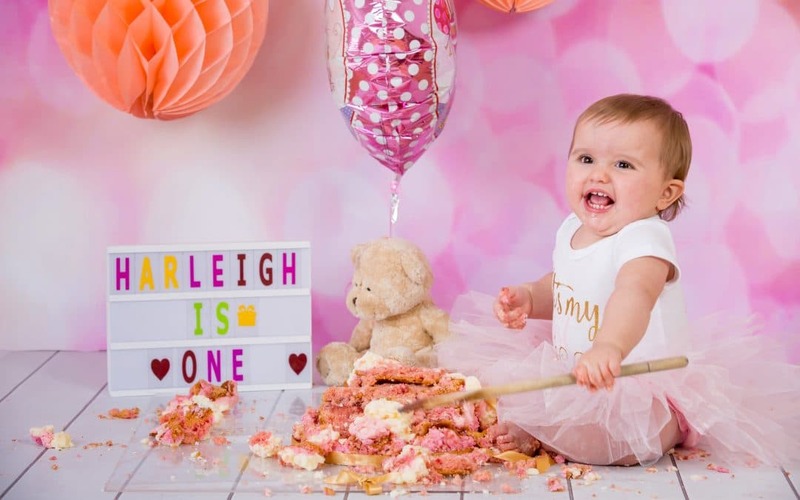 First Harleigh tried to play the cake like a drum, then she realised it was something to eat and started enjoying it and having fun. 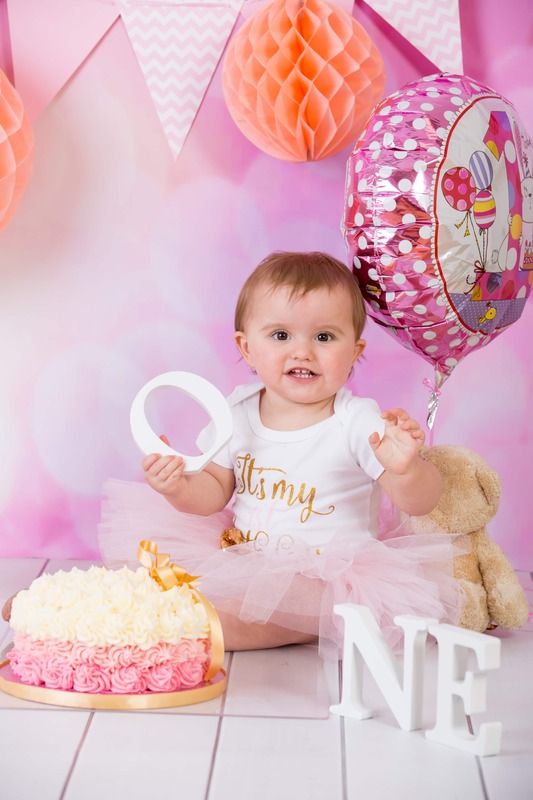 In this case Harleigh’s mum brought in the beautiful cake from Claires Bespoke Cakes but if you haven’t got a cake we can always recommend cake companies that make great cakes for smashing. 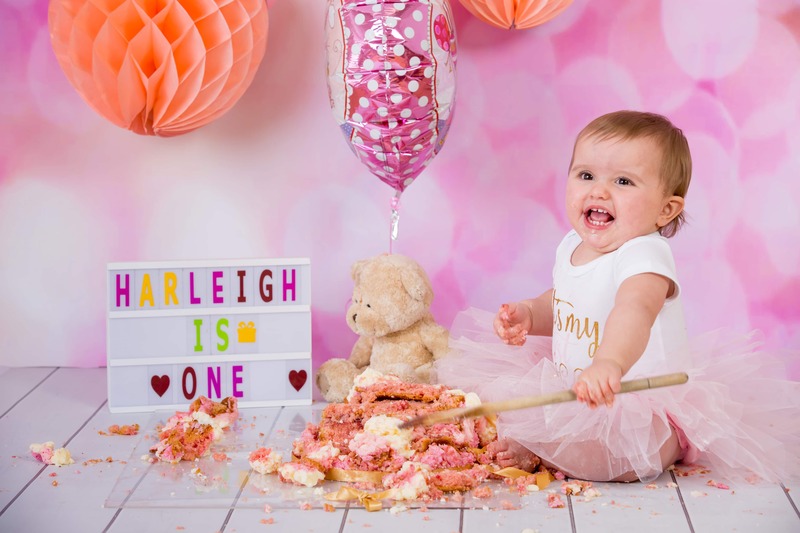 If you would like to book a Cake Smash then please contact Carlisle photographer – Keltic Rose Photography. 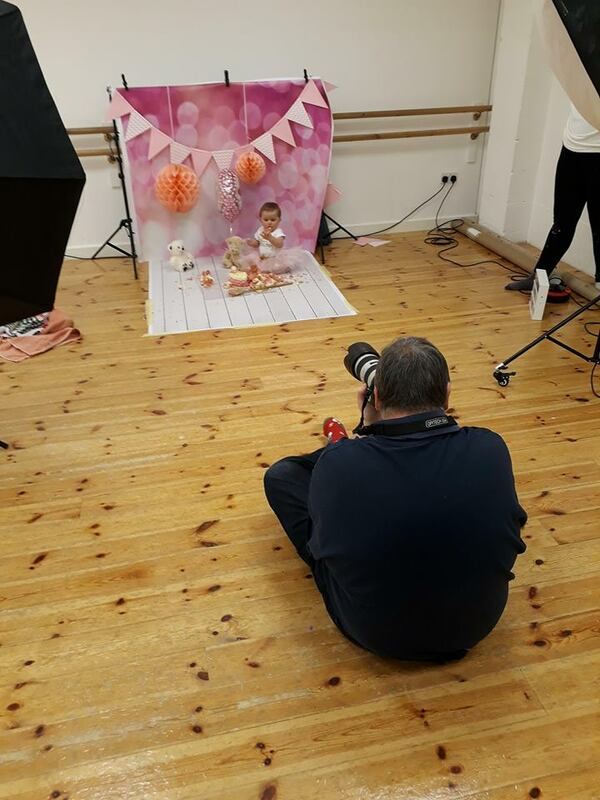 and here is a behind the scenes photo taken by Harleigh’s dad.